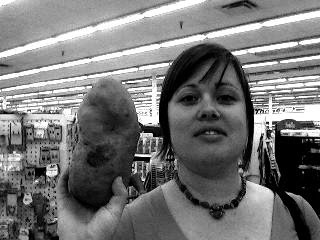 This potato must have been on steroids; as you can see, it is about the size of my head. It later fed 12 orphans. Thank you 99 cent store!